Modern Toyota often gets a bad rap for not indulging enough in its fun side. 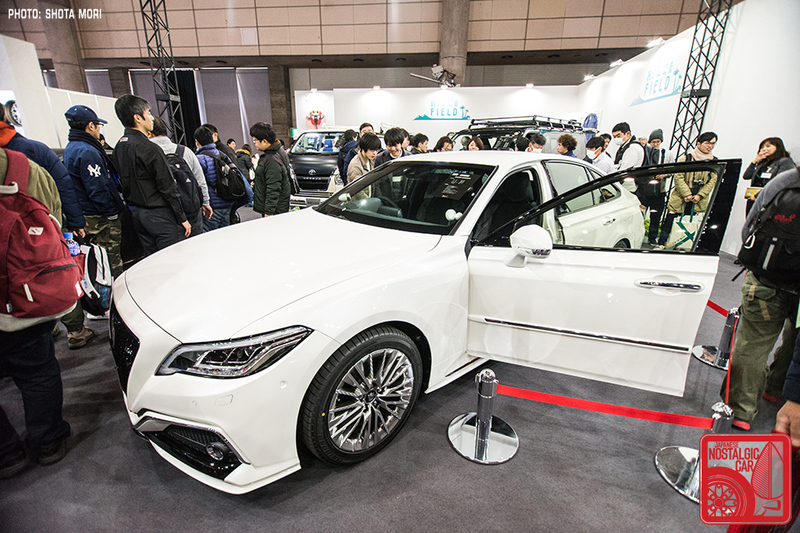 At the Tokyo Auto Salon, Japan’s carnival of car customization and tuning, the Big T reminded us that few other Japanese automakers willing to commit this level of far-out vehicular mayhem. Beneath the flowing bodywork sat a 986-horsepower powertrain consisting of a twin-turbo, direct-injection, 2.4-liter V6 and the TS050’s hybrid-electric system. The Super Sport, however, has two seats, indicating perhaps a road car destiny for the concept. Former F1 driver Kamui Kobayashi was reportedly spotted as test driver during the Super Sport’s testing at Fuji Speedway. Toyota claims a thermal efficiency — the amount of energy the engine turns into actual power rather than losses to heat, friction and noise — of an astounding 50 percent. Most modern engines run at only 20 percent. 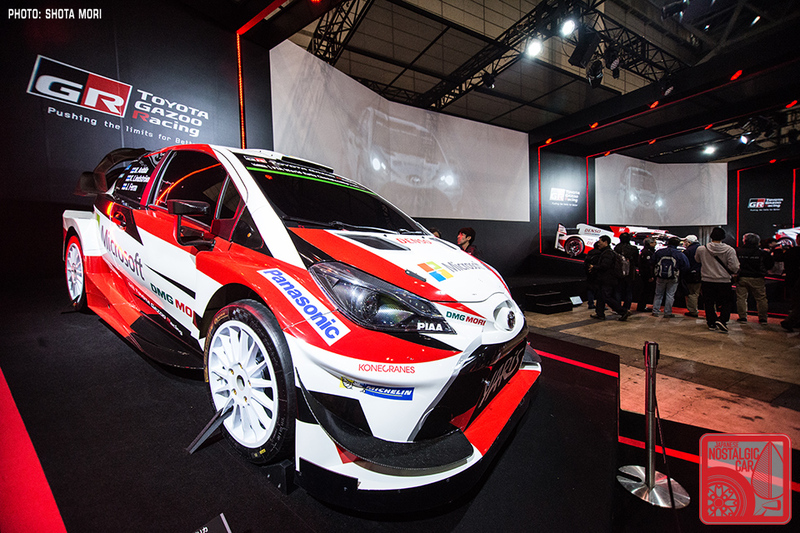 Launched last September as an in-house Toyota performance brand, Gazoo Racing initially had little but body kits and wheels to offer. The Super Sport certainly goes a long way to address those concerns. 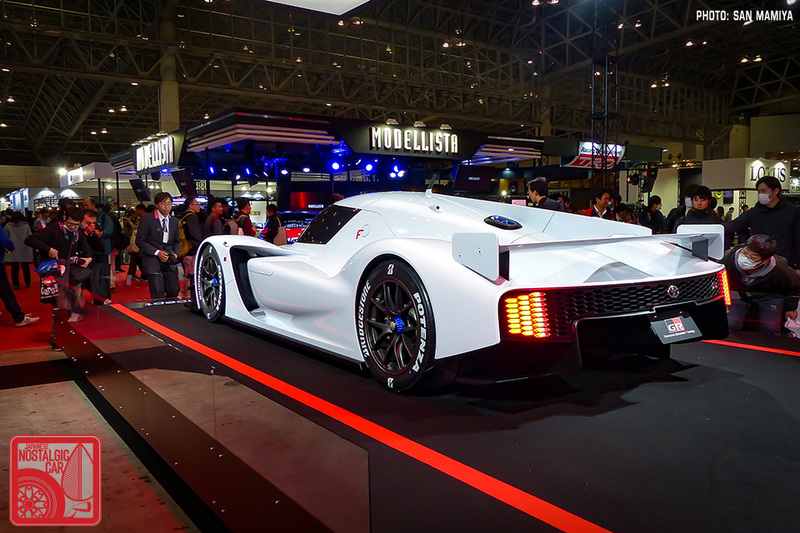 Not surprisingly, it walked away with the Best Concept Car award. If the Super Sport ever goes into production, the price tag will likely cost more than a New York City penthouse. Luckily, Lexus has a car for us poors who can only afford a sports coupe in the $100,000 range. 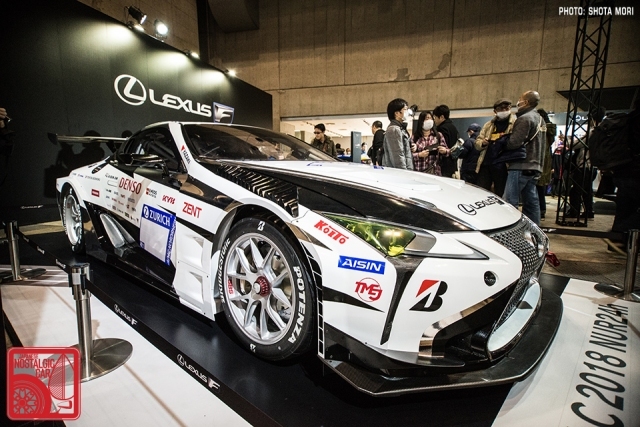 Nearby was a Lexus LC race car built to compete in the 2018 Nürburgring 24 Hour enduro. 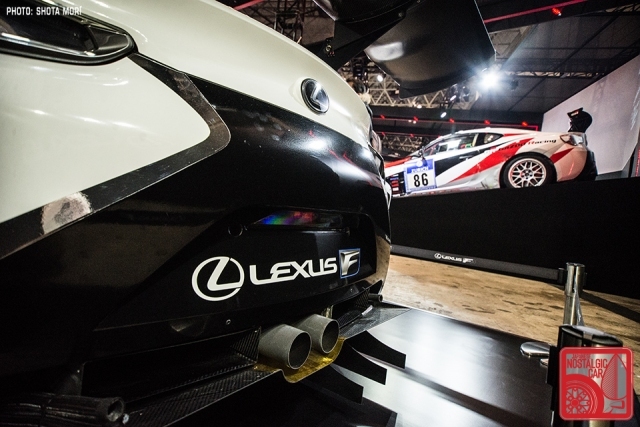 It will be the twelfth year for Gazoo Racing but the first for the LC. 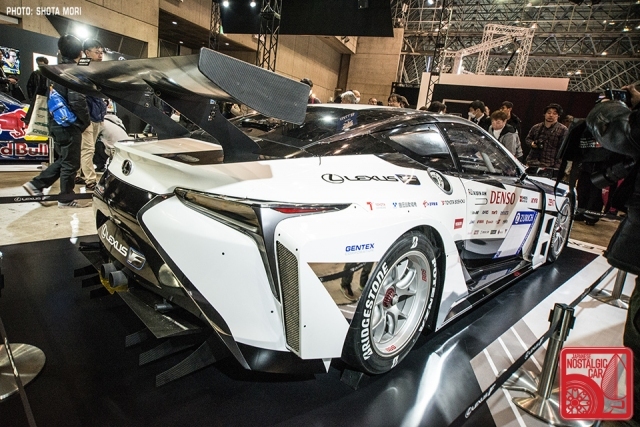 Toyota says that the car features advanced development technologies that will trickle their way down to production cars, including aerodynamics, body construction to reduce weight while increasing rigidity, lighter suspension components, and friction-reducing engine components. The car runs a modified version of the 471-horsepower naturally aspirated 5.0-liter V8 found in the road-going LC 500. 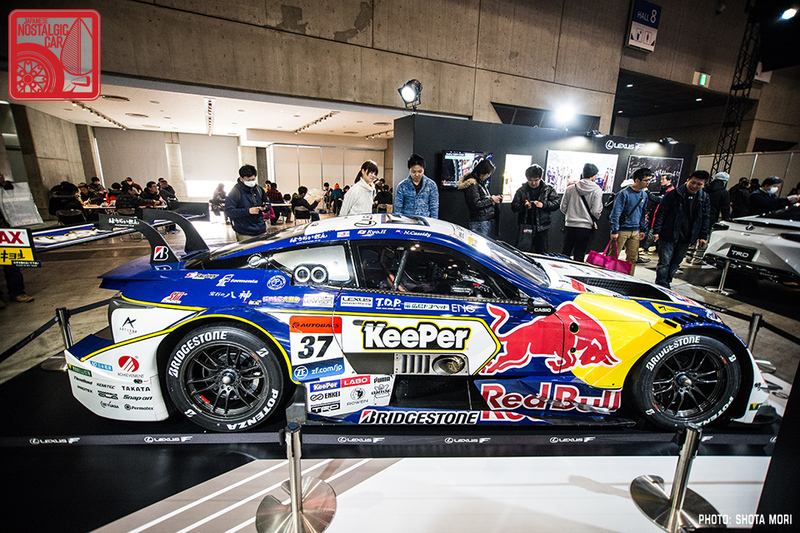 Closer to home, another Lexus LC was decked out in Keeper and Red Bull livery ahead of the 2018 SuperGT season. 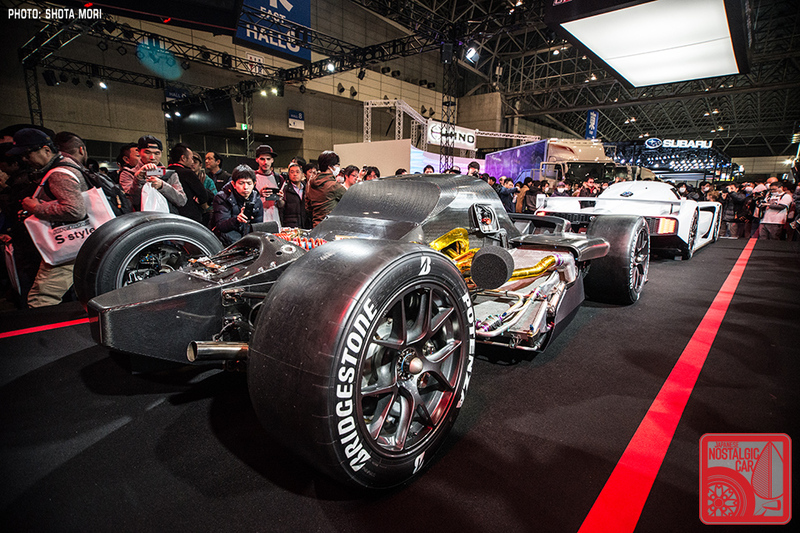 As with all SuperGT cars, there’s little to do with the road cars that they resemble. The tube-frame chassis actually houses a mid-mounted turbocharged 2.0-liter inline-four instead of the production V8. The bodies are easily swapped out depending on which latest model the carmaker is trying to market. Five years ago, it was a sad state of affairs at Toyota. It was still running a Lexus SC430 body, even though the car was never a sports car to begin with and had been discontinued since 2010. There was simply had no proper car in Toyota’s lineup. Who would have guessed that they’d have so many performance options in their portfolio today? Now there’s an embarrassment of riches, as the LC last year replaced the RC F that Toyota had been running since 2015. 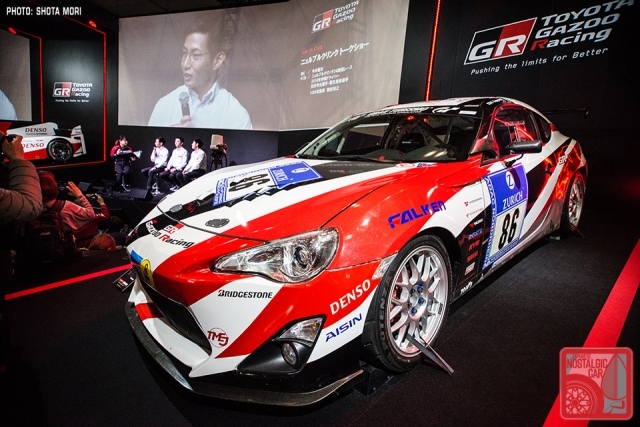 Moving further down the price tree is the Toyota 86. The particular example on display was another 24 Hours of Nürburgring car. It won its class in 2014 with Masahiko Kageyama, Kumi Sato, and Naoya Gamo driving. 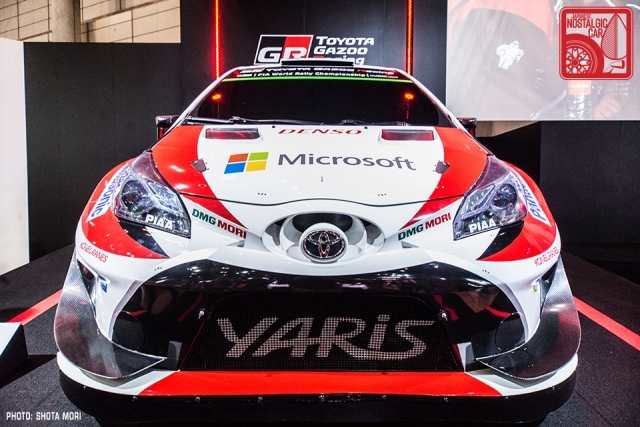 Toyota’s motorsports activities aren’t just limited to just circuits, either. 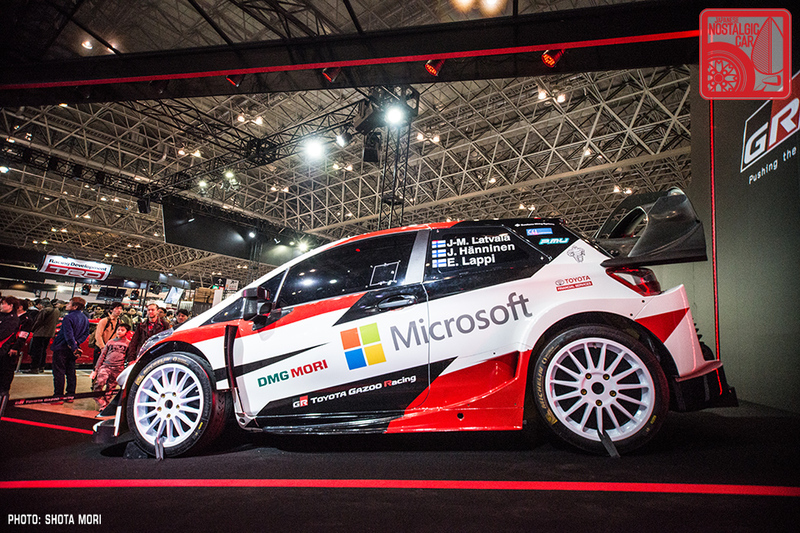 It’s also competing in the World Rally Championships with its Yaris WRC. The big changes for 2018 involve added downforce to its aerodynamics, as well as a redesigned cooling system. 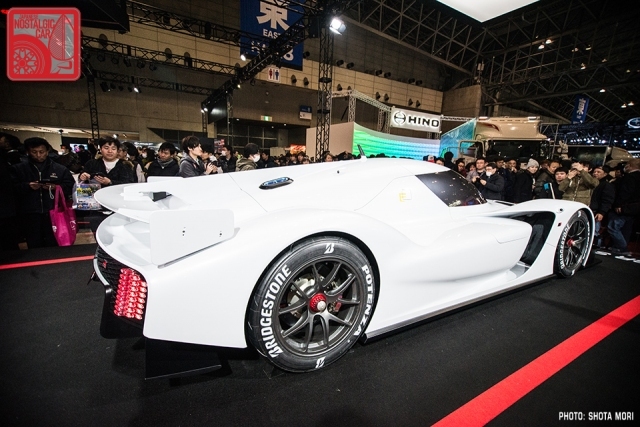 Toyota says the car makes more than 380PS from it’s 1.6-liter direct-injection turbo four. It’s also AWD and weighs just 2,650 pounds. Unfortunately, the Yaris we get in the US is pretty far from this rally racer, but that’s not the case in Japan. That’s because they have access to the Vitz GRMN, a supercharged 1.8-liter Vitz/Yaris making 209 horsepower and 184 lb-ft of torque in a package that weighs 3,120 pounds. As Ryan noted, it’s like a modern-day Corolla FX-16, and bookends the Toyota performance lineup nicely. But wait, there’s more. 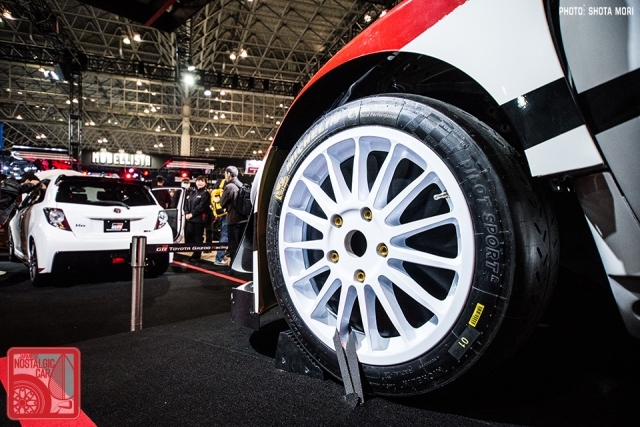 With the establishment of Gazoo Racing last year Toyota’s existing body-kit-and-wheel sub-brand Modellista was reorganized to fall beneath Gazoo’s purview. The latest Modellista project is a dealer-ready VIP kit for the new S220 Crown. The front wing spoiler, side and rear skirts have “jet black plating” inspired by the F Sport Lexuses. 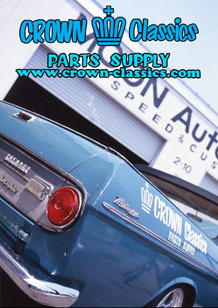 Another Crown exhibited the genuine Toyota parts that can be installed on the oldest running sedan of Aichi’s lineup, including a front spoiler, side skirts and 18-inch wheels. Not the white pods installed at the corners of the dash. 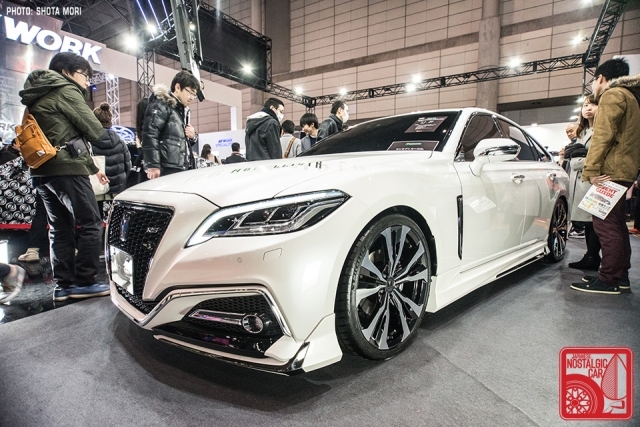 Those are “super-directional double tweeter” speakers made by Denso Ten, which are said to narrow the range of sound projection to just the driver and passenger seats. Among the uses for this seemingly superfluous feature are GPS directions and hands-free phone calls. 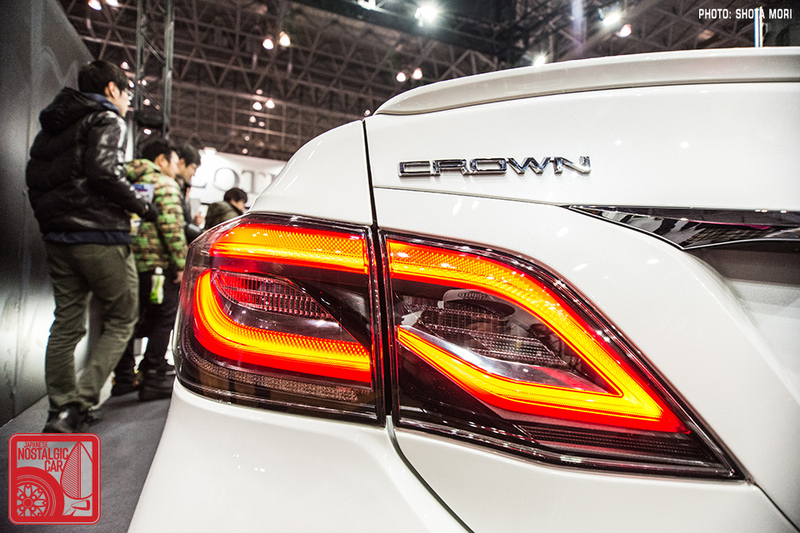 Lastly, Toyota apparently feels that the Crown has an ojisan reputation and wants to drum up some excitement from sports car enthusiasts. As such, they displayed a Crown test mule, complete with camouflage and four-point safety harnesses, used for performance testing at the Nürburgring. The new S220 is first Crown to have been tested there. 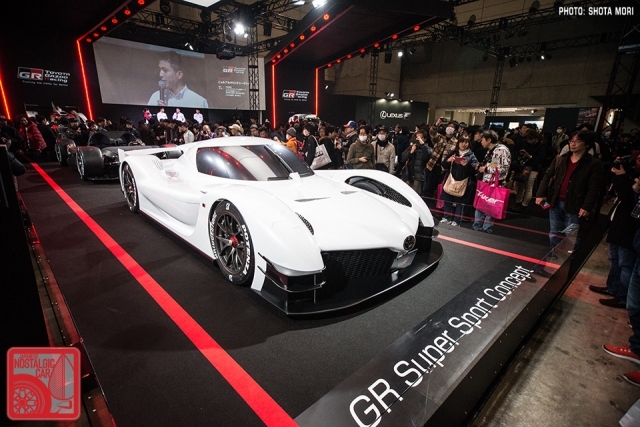 As you can see, it’s a pretty full lineup of sports coupes and race cars that few other Japanese automakers can boast. 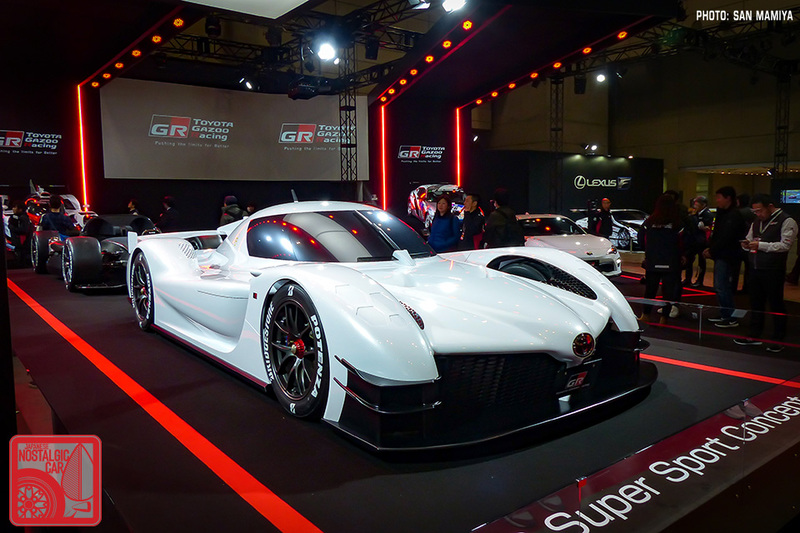 There’s a little something for everyone, from hot hatches to supercar, and we didn’t even see the RC, GS F, or upcoming Supra. Perhaps it’s time to drop the B word. 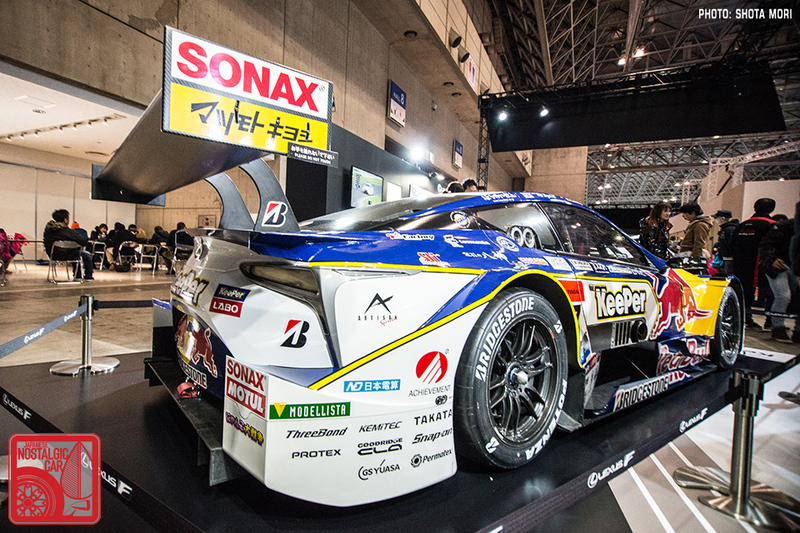 Our next Tokyo Auto Salon installment will spotlight a newly restored historic racing Toyota. 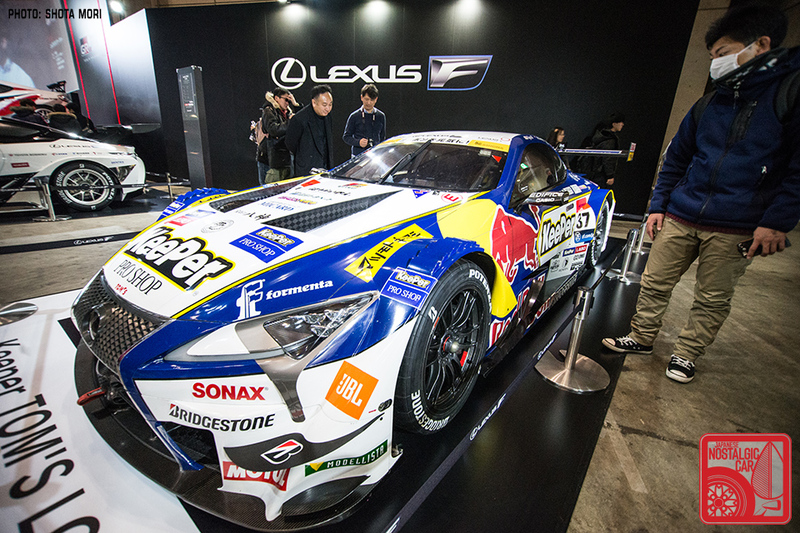 tagged: crown, lexus, Lexus LC, nurburgring, S220, tokyo auto salon, toyota, toyota 86, vitz, wrc, yaris. 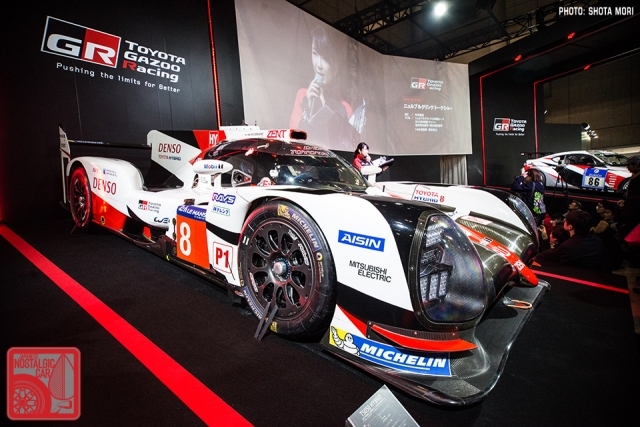 Thank you Toyota, bring some of the cool stuff to North America !! I think we can still say Toyota US is pretty boring. I saw an LC500 in the wild the other day and that is a damn fine looking car! I’m almost embarrassed to say that, having seen a few brand new Camrys in traffic, that’s also a pretty nice looking car now. And then my brain immediately chides itself for thinking that. Guess I’m struggling with that concept at the moment. SEMA 2018: The entire Toyota Booth is nothing but modified Toyota Siennas…….. While they certainly do have cool cars, i feel like the whole reputation they could have gets lost in the sea of subbrands and divisions. Only enthusiasts will ever know that at the end, gazoo, G’s, TRD, TTE, Toyota Motorsport and all this stuff is actually Toyota / Lexus.